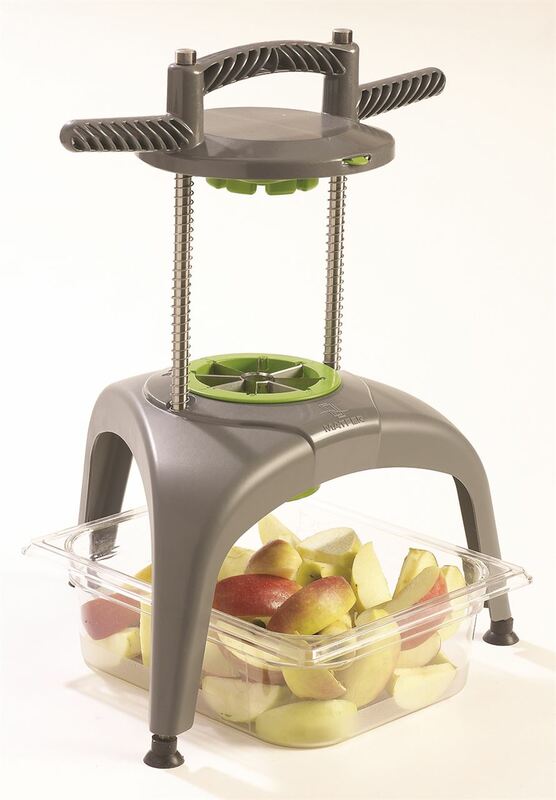 To easily core and slice fresh apples and pears into 8 segments. When cut into segments, fresh fruit becomes a real pleasure, easy to eat for children. Maximum diameter of fruit: 3 1/2". Core diameter: 1".